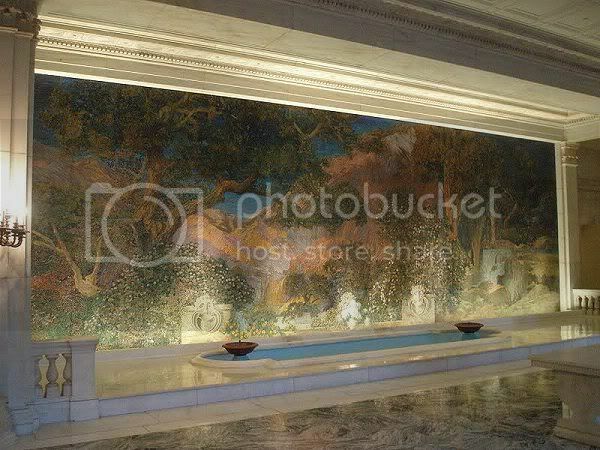 "The Dream Garden glass mural and fountain in the Curtis Building in Philadelphia. 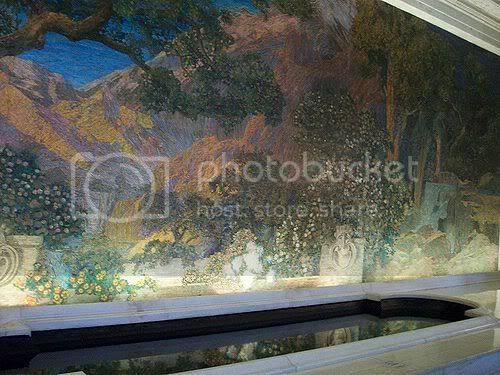 "Designed by Louis C. Tiffany and based on a Maxfield Parrish landscape, it took 6 months to install in 1916. 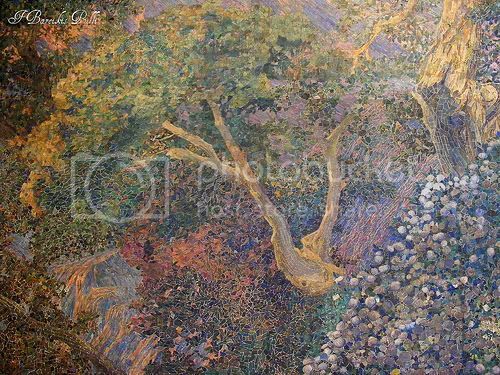 The mural is 15 feet by 49 feet made up of 100,00 pieces of glass in over 260 color tones making it arguably the largest Tiffany piece in the world." This is a wonderful and somewhat secret spot in Philly, if you have the chance see it!"